If the Le Mans test day on June 4 isn’t your ‘tasse du thé’, then Brands Hatch next weekend might be – for the opening event of Jim Graham’s Group C/GTP series. 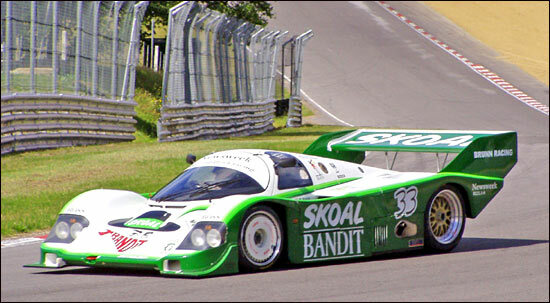 One familiar car returning to the series is the Skoal Bandit Porsche, now owned by Henry Pearman. This car was third overall at Le Mans 1984, driven by David Hobbs, Sarel van der Merwe and Philip Streiff (have you ever tried Skoal Bandit? – it’s horrible, and I nearly died of hiccups that year, after some clown urged me to try it. Ed. ), and was also fourth at the 24 Hours in 1985 and ’86. Martyn Konig was the previous owner of this car. 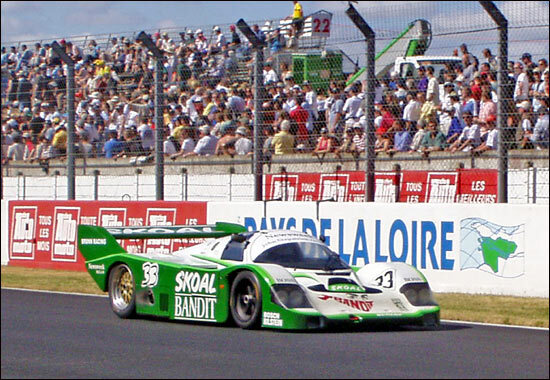 Here is the Skoal Bandit Porsche - at Brands Hatch and Le Mans, both in 2004. 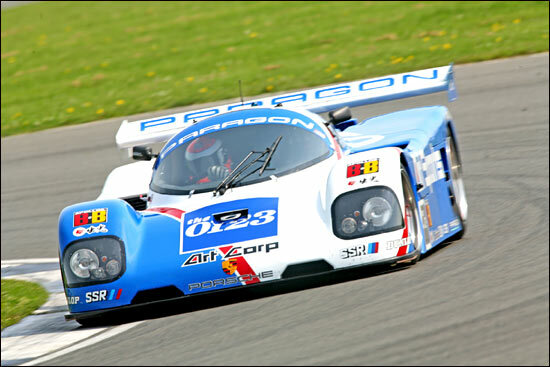 June 3-4 will see former GT racer Mark Sumpter make his Group C debut – racing a Porsche he bought from Henry Pearman. Sumpter’s car has been restored by ‘Group C’ in High Wycombe and is a carbon-tubbed chassis, TS/03C, built by Vern Schuppan to compete at Le Mans in 1991. In the event it was only used in qualifying (no. 53), driven by Hurley Haywood, Wayne Taylor and James Weaver. The latter had some unkind things to say about it at the time, but that was more to do with the aero package of the time than the chassis itself. “The attraction of this 962 for me was the carbon chassis and I am really looking forward to racing it this year,” says Sumpter. “I have raced Porsches for the last 13 years but this car is a completely new challenge for me, as I have never driven a car with downforce. The car will be run by Mark Jones, who works as a Porsche technician at Paragon, Sumpter’s Porsche dealership, with the help of Trevor Crisp from ‘Group C’. He's seen testing the car recently. Notice (former?) British GT racer Ian Stinton on the entry list - plus Lola Chairman Martin Birrane.